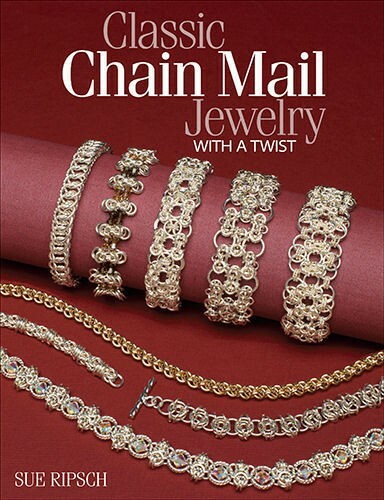 I am excited to announce that my second book, "Classic Chain Mail Jewelry with a Twist" has been published and is now available for purchase. This book has twenty-eight new pieces of jewelry for you to make and enjoy. There are step-by-step illustrated instructions that are easy to read and follow. I have included weaves at the beginner, intermediate and also the advanced level. There are traditional pieces as well as exciting new looks in chain mail. Additionally, I have included information on making jump rings, tumbling jump rings and how to utilize Aspect Ratio to change the dimension of your jewelry pieces. I will autograph any book ordered from this website. Hope you will enjoy making these beautiful pieces of chainmaille jewelry.